Getting a good IT job for freshers in this tough job market is really a big deal today. Let’s see how Himadri managed to kick-start her career in the IT industry straight out of college. Himadri: My name is Himadri Kushwaha. 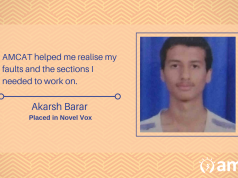 I have done MCA from IP University’s Bhai Parmanand Institute of Business Studies. My career goal is to earn well and build a reputation in society by earning a top spot in Engineering or Management. Aspiring Minds: What difficulties did you face while searching for a IT job and how did you overcome those difficulties? 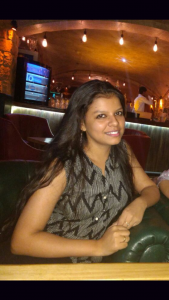 Himadri: I uploaded my resume in various job portals and went through various campus placements. But, the interview calls that I received through these job portals were mostly irrelevant. Also during the campus placements competition was very high. So I took AMCAT. 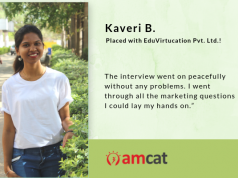 Aspiring Minds: Tell us about your experience post giving the AMCAT test and how AMCAT helped you in getting the job at Technofocus? 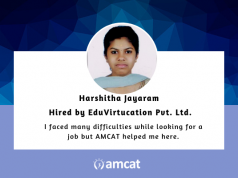 Himadri: After taking AMCAT, I started receiving relevant mails for the job interviews. And finally got a job at Technofocus Solutions. Here, I have been offered the designation of Associate Cloud Engineer which is the kind of job I was looking for. It feels really great to be associated with Technofocus and I am really thankful to AMCAT for this. Himadri: I have always recommended my friends to take AMCAT test. AMCAT accurately tests a student’s logical, technical, thinking ability and provides job which you are actually looking for. Himadri: I would recommend all the students who are in their final years to take this test. So that you are bumped with high quality jobs. AMCAT is a wonderful platform to check openings and market trends for salary packages and number of jobs available.